Really pleased with the book selections as the box contained 2 books that I have wanted to read and the 3rd choice sounds really interesting too. I loved the bookish goodies that came with the books as well. Very satisfied and will look forward to the next box! Another fantastic box, brilliant book selections again and the book related gifts were both fun and useful. Going to get my parents a gift subscription for Christmas! 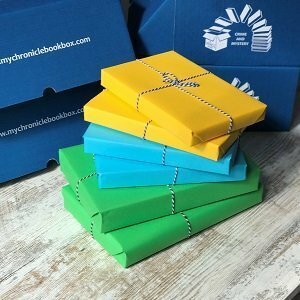 Absolutely fab selection of books and goodies in the box, wonderful to open all the beautifully wrapped parcels and explore new books. 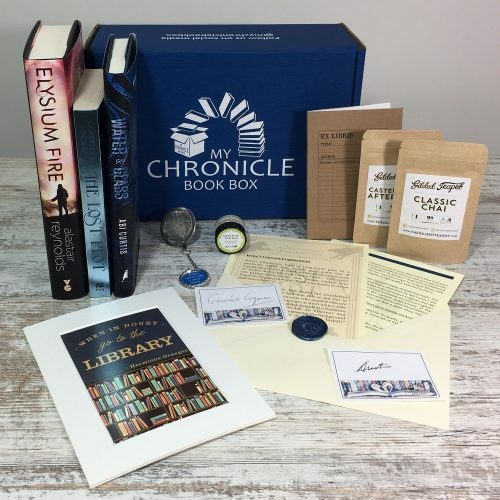 Unfortunately I have already read one of the books, but it’s always great to get my chronicle book box anyway! Great box, can’t wait for the next one every time – the books are just the best and I can’t wait to read these three! Thanks!! Got my first box through in November and I have to say I couldn’t wait for it to arrive and when it did I wasn’t disappointed. The presentation of the box is great, the books are all wrapped which makes it even more exciting. I really liked the extras in the box including the author interviews and signatures. Most importantly the books were all really interesting picks and diverse too. They are books I probably wouldn’t have picked up otherwise. 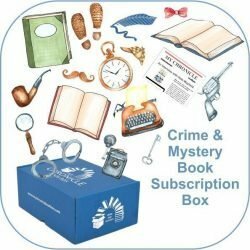 In short I am in love with this subscription box and am already thinking about the next. I am an avid Goodreads user and will be sure to mention My Chronicle Book Box when I review the books received. 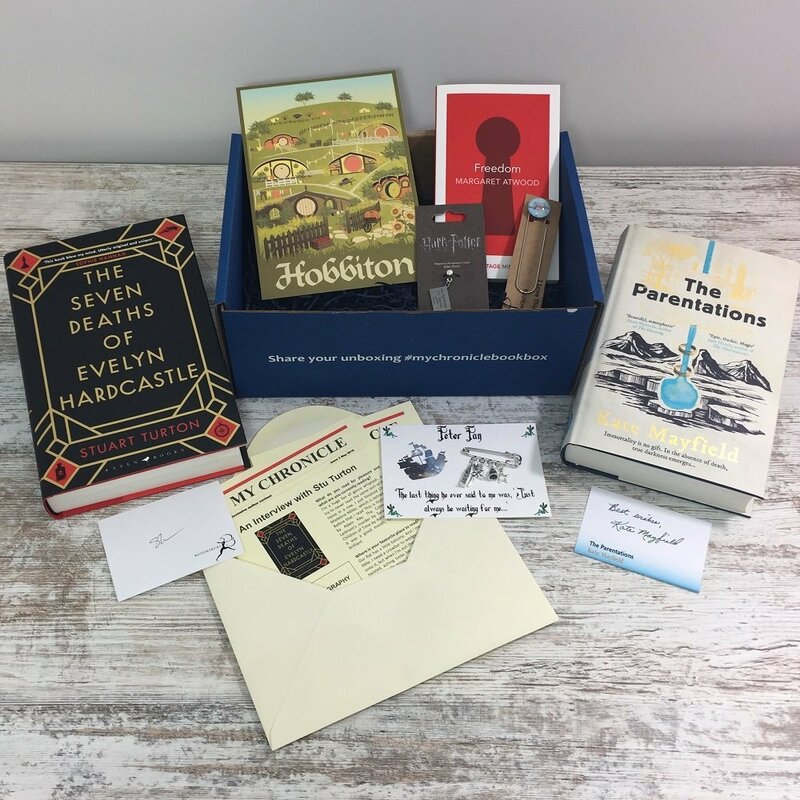 Beautifully packed and presented box with some great looking reads inside. The attention to detail and care that has gone into creating this box is fantastic. 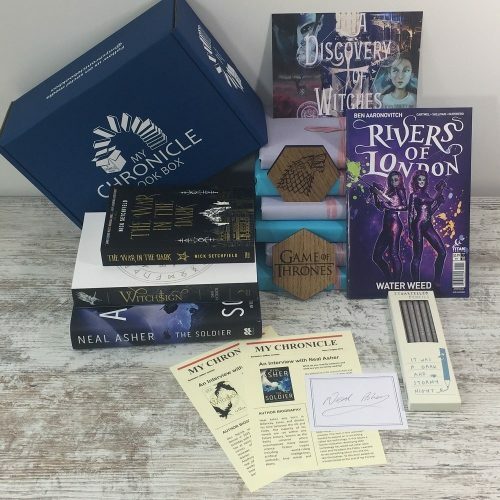 This is my first box from My Chronicle and I wasn’t really sure what to expect but I am glad to say that I am pleasantly surprised by just how much care has gone into selecting the book goodies to accompany the reads as well as giving a good variety of books within the sci-fi fantasy genre. Genuinely couldn’t be happier. A brilliant idea, perfectly executed. 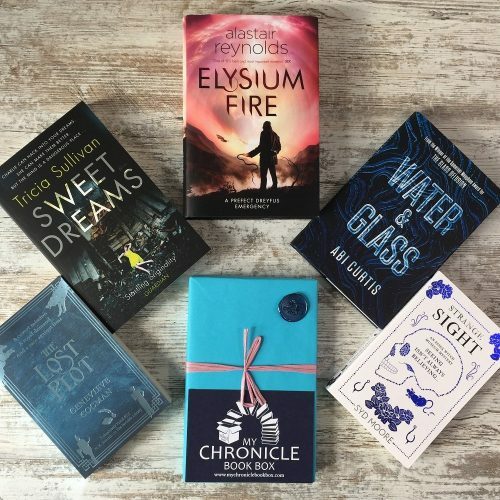 Absolutely fantastic selection of exciting books, wrapped and presented in a gorgeous box with brilliant extras. Fantastic box with beautifully wrapped, signed copies of the books and some lovely extra treats. Can’t wait till the May box. Fantastic! I had the best time opening this box, so beautifully presented with well thought out books and little gifts. Absolutely loved it and can’t wait for the next one. 100% recommend! Another wonderful box with some exciting looking reads. I’m always amazed with just how much effort and attention to detail goes into putting these boxes together. 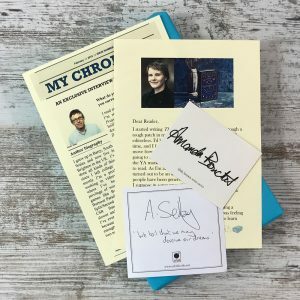 The bookish gifts compliment the book selections perfectly and really do add to the experience of reading, not to mention the interviews which add another dimension to the books, giving some truly interesting background to the writers inspirations. My second box and I am really happy with the contents. Three really interesting books including a signed copy! The additional items are great touches, the soap smells amazing and I love the tin! I love this box, great value for money!